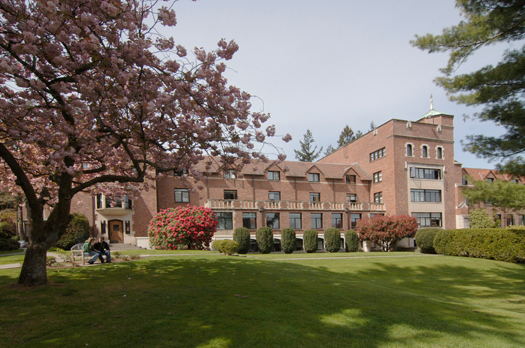 Anderson/Langdon, or "A/L" as it is affectionately called, overlooks the North Quad and is one of the largest and oldest residence halls on campus. Anderson/Langdon Hall, as well as its close neighbors, gaze out upon the beautiful North Quad where you will frequently find students studying, playing Frisbee, and catching up with friends. Many residents of A/L have one of the best views of Mount Rainer on campus. Located next to the Collins Memorial Library, Anderson/Langdon is just a quick stroll away from Wheelock Student Center.